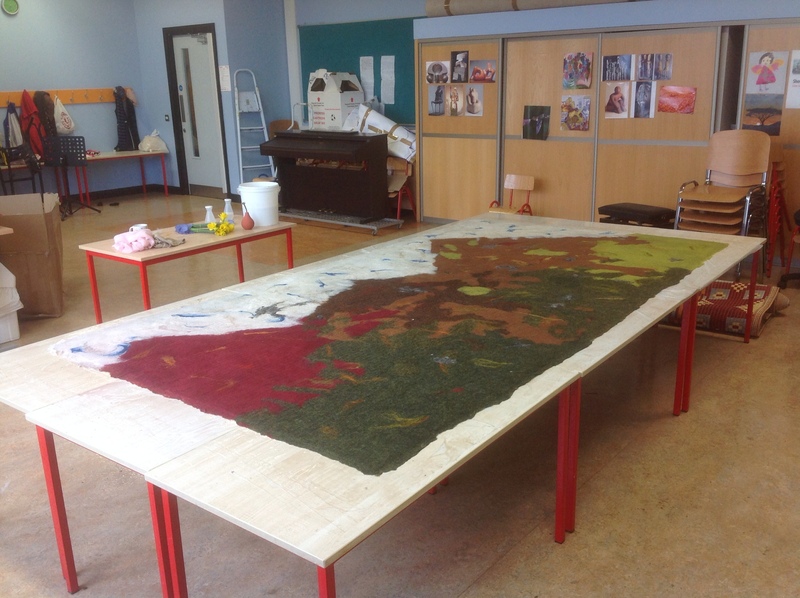 Still no Internet, just uploading these two pics of work in progress directly from the classroom at the Gaelscoil. …..And after a LOT of rubbing and stamping! 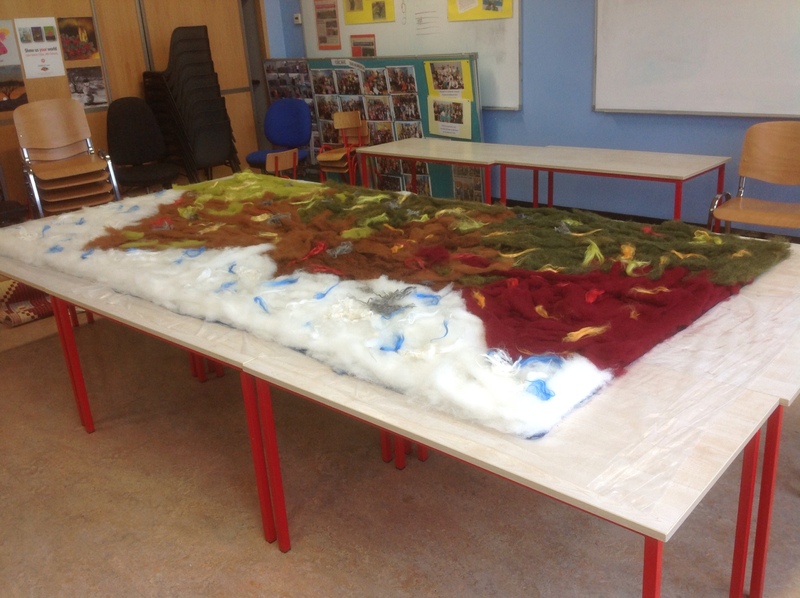 This entry was posted in Felt and tagged Felt, felt wall felting, felt wall hanging, felt wallhanging, Gaelscoil by Nicola. Bookmark the permalink. I’ll bet the students had a great time rubbing and stamping. It’s really going to be fabulous! They’ll be so proud of their accomplishment.